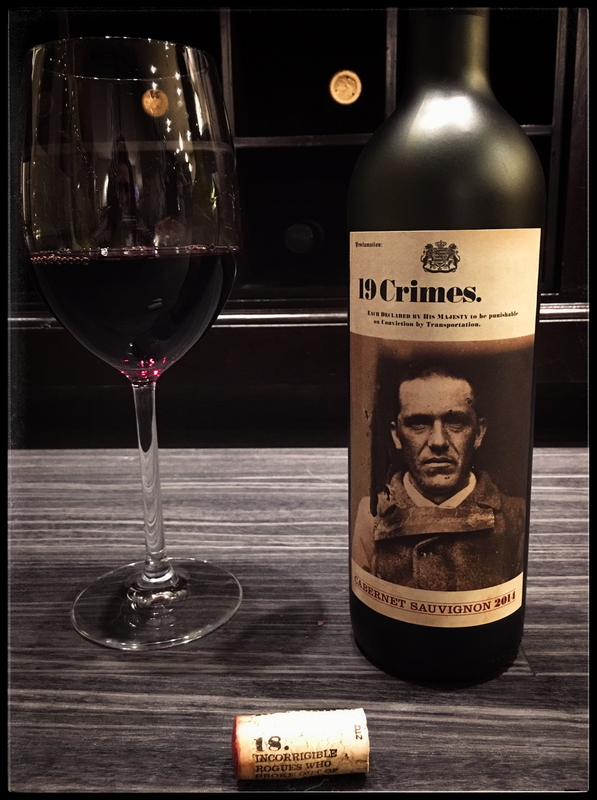 Each cork is printed with one of the 19 Crimes; it’s a fun activity to see how many different crimes you can collect. Over the past year or so I have acquired a few, my favourites being: #5. Impersonating an Egyptian, #7. Setting Fire to Underwood and #17. Watermen Carrying Too Many Passengers on the Thames, if Any Drowned. Tasting Notes: Dark garnet in colour with robust aromas of sweet mixed berry jam, herbs and hints of oak. Coffee notes accent bold red fruit flavours, firm tannins harmonize with white pepper and mocha elements on the lengthy finish.